Hi friends! I have new skating projects I’m excited about and I’ve been enjoying my skating. 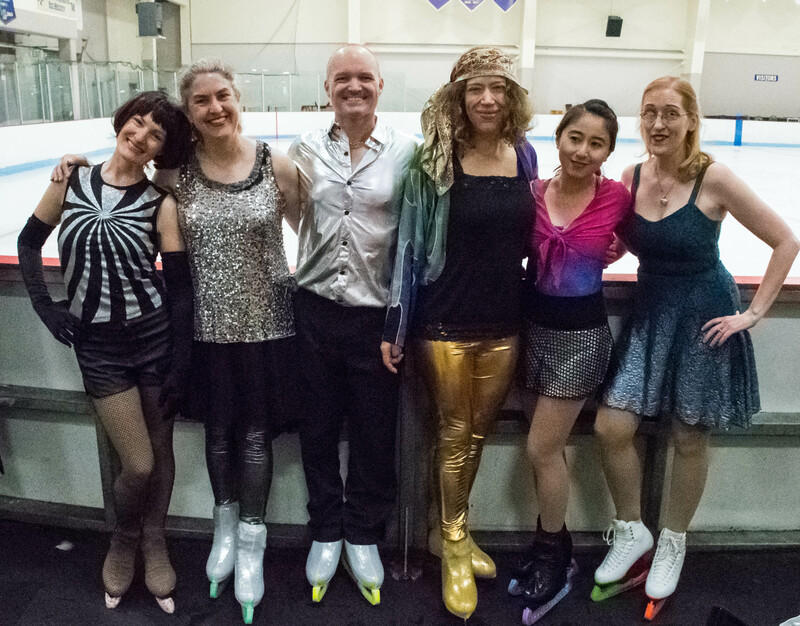 I’m in a small ensemble group of adult skaters and we performed at a recent skating competition. Our program was a weird but fun mix of La La Land and disco. We were the only ones in the mini-ensemble category so we all got medals. We’re going to perform again this summer at a Sk8 to Elimin8 Cancer Event put on by Kingsgate Skating Club. The beneficiaries will be the Scott Hamilton Cares Foundation and the Ben Townes Center for Childhood Cancer Research. The Ben Townes Center at Seattle Children’s Hospital is working to cure children’s cancer with cutting-edge immunotherapy. They are bringing the new CAR-T immunotherapy both to local children and to children in areas which lack the same research and healthcare facilities as Seattle. To learn about some of the cures they’ve already accomplished, read Aaron’s story. And if you’d like to donate to my campaign, it’s here. This cancer-fighting fundraiser was organized by Maria Murphy, a coach and adult skater who herself has had breast cancer. Too many people in our skating club have had breast cancer, including one of our skating moms who we lost several years ago. 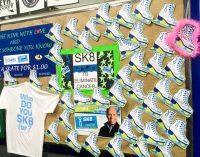 And too many skaters in our community have fought other cancers. I’ve told you in the past about coach Darin, who was treated for his Stage IV colon cancer with an innovative surgery and is now four years cancer-free. I want to see more hope for others with advanced cancers. 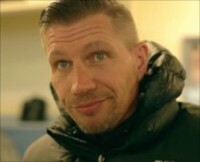 Besides the Sk8 to Elimin8 event, I’m planning to participate in the holiday skating shows in my area this year. That’s something I haven’t done in years. Usually the holiday season rolls around and I think, I wish I had a holiday number to perform. Well this year I’m getting an early start and I’m going to get it done. I’ll be skating to “Believe” from The Polar Express. I’m choreographing it this week with coach Ty. I’m in Sun Valley to skate and work with him and with Erin Reed. I’m in a good place with my skating. I hope you are too. 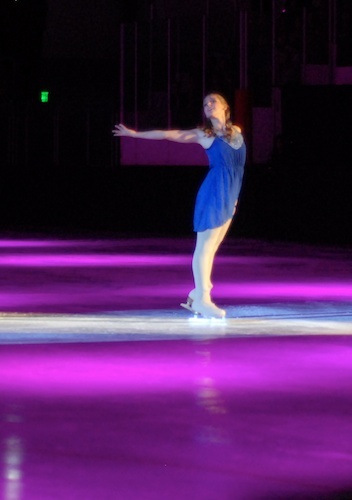 Skate for Coach Darin Hosier A beautiful ice show to benefit beloved coach Darin Hosier. Bumpy Road to Sectionals Sweating the big stuff before Sectionals. Message from Coach Darin: Fighting Colon Cancer (or Better, Preventing It) Coach Darin fights colon cancer with perseverance and spirit. What you can do to prevent or screen for colon cancer. Don’t you look all hip and groovy! Love the group spiral and the disco Ina Bauer! And the gold pants–very psychedelic. Jo recently posted..Hips are A-okay! Yeah I rummaged around in my closet and the only disco I could find was more of an early ’70’s disco than a later disco. That plus the pants and I was set. Thanks! I was happy with those elements too. What a fun program, Mary! You all looked like you had so much fun out there! You’re all wonderful performers. Bravo! Our coach is quite the performer and she nudges us along. It was definitely fun!